Yes, there is reincarnation, but it is not what most people think. Like evolution, there can be different theories to just what it is and how it works. But no matter what you come up with, it all remains outside of us, that is, outside our innermost Being, and is illusion (maya), however creative. Therefore the most basic answer is: the Spirit, Life itself (God) incarnates and reincarnates, though both, as such, are illusion (maya). Thus, if the soul realizes Enlightenment then there is no longer any further need for reincarnation. But this presupposes for many, that the soul is the person, and it is the person who is reincarnated, or, for that matter, realizes Enlightenment. But how can this be so? Ego, or personhood, which is a secondary consciousness, and thus insubstantial by itself, remains by it’s very nature, incomplete (partial) as an awareness, and can never be Enlightenment, or, for that matter, reincarnated. The soul, then, must be more than the person. Consider: persons are dying and new persons are being born all the time, there doesn’t appear to be an end to this process. To quote Albert Einstein, “energy cannot be created or destroyed, but only changes form”. And, metaphysically speaking, could not this be said to be a kind of reincarnation? Collective but not personal? Life does not die, what dies is the image/form/concept of life, that which is incomplete to begin with (living matter). What soul, awakening to the truth of this, would return to earth as an image/form and live the body life over and over again, when the soul is Now living, selflessly Realizing Life in itself, Ourself as a Whole, not a mere shadow of the Same. Ultimately, then, there is no person, only the Fullness of Life, Whole Consciousness, seemingly incarnating and reincarnating itself through the image/form, the mask of life. However, a person’s past actions and unfulfilled desires (karma) may move on in the universe. But in the universe every pattern of behavior interacts with other wave-patterns, and what becomes a new person may well be a combination of several energy-patterns and processes. So, if you were to get a flashback to a previous existence, this would not be the person you are now who lived then but an interconnection of you, the universal soul; even possibly a memory stored in the collective unconscious. 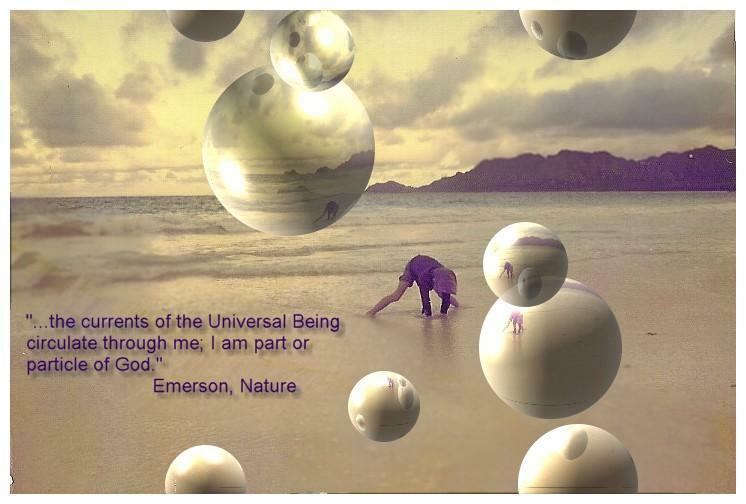 In this sense, every life that has ever lived or ever will be lived is you, is us, is God, metaphysically speaking. That is to say, we are the Soul, not the person, and there is no soul apart from Spirit (God).